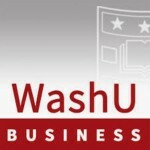 PMC is proud to contribute to executive education at Olin Business School at Washington University. In addition to teaching in custom programs offered by Olin to single organizations, Paul Paese also teaches open enrollment seminars that executives from any organization can take. This year Paul is co-teaching Leading & Growing Highly Effective Teams with Markus Baer. This two-day seminar will be held on November 27-28 at the Charles F. Knight Center from 8am-4pm each day. For a description of the open enrollment sessions offered at Olin this year, see the program finder.